Leonard Cohen’s folk song “Anthem” reminds us that it is through our imperfections that the light gets in. Might they also be how our light gets out? Our guest minister for the morning will be Rev. Diane Teichert. Rev. 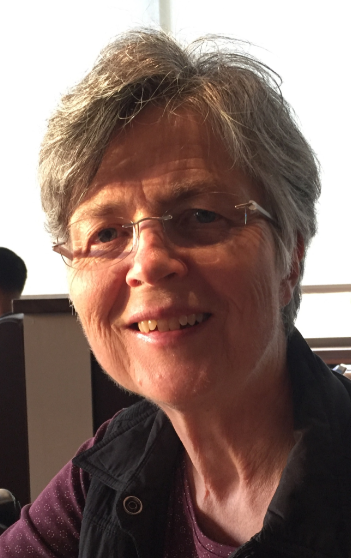 Diane Teichert was the Minister of Paint Branch Unitarian Universalist Church in Adelphi MD from 2009 to April 2014 when she suffered a major stroke. Prior to moving to Maryland, she served three congregations in the Boston area. Before preparing for ministry, she was a labor and community organizer. Diane is active in the Chesapeake UU Ministers Association and recently joined the board of the UU Legislative Ministry of MD. She is married to Don Milton, a scientist now researching the transmission of flu at the University of Maryland-College Park. Their daughter is a civil rights lawyer and their son a professor of economics. Diane and Don enjoy as many outdoor activities as she can still do, family, friends, and talking politics.